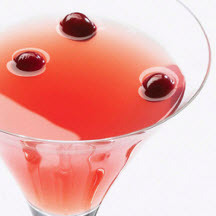 Fresh, bright red cranberries cruise floatingly atop this vodka and grapefruit martini. In a cocktail shaker filled with ice, add vodka, grapefruit juice drink and triple sec. Shake and strain into a martini glass. Garnish with cranberries, if desired.